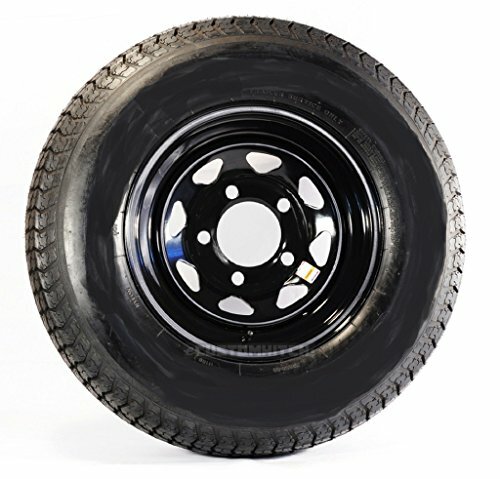 Radial Trailer Tire On Black Rim ST225/75R15 Load D (5 Lug On 4.5'') Spoke Wheel by eCustomRim at Daily News Miami. MPN: 57934. Hurry! Limited time offer. Offer valid only while supplies last. Pre-Mounted Trailer Tire & Wheel. Tire Size - 225/75R15. Tire Weight Rating - 2540 Lbs. Tire Type - Radial. Load Range - D. Tire Section Width - 225. Finish: Black, Center Bore: 3.19"